Hello! Today I'm back with half of the most recent Once Upon A Time Duo from Danglefoot Nail Polish. If you missed the last duo (my collab! ), Belle & Rumpelstiltskin, you can find my swatches here. This time the collaboration was with Faye (or @littlef218 on Instagram). 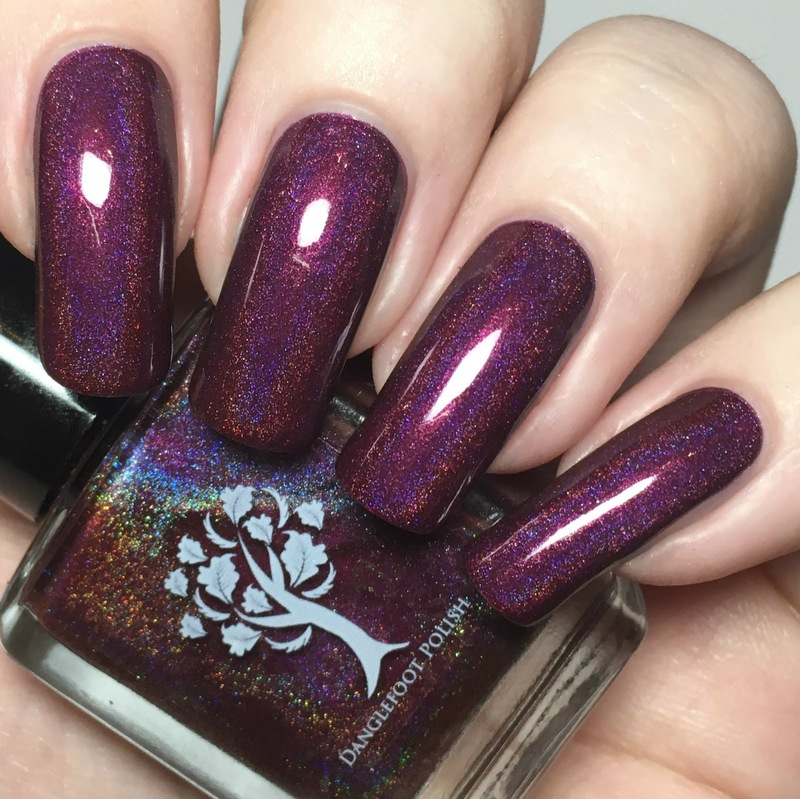 She chose Regina and Zelena, and her and Hayley came up with two stunning polishes. I have 'Regina' to show you today (I will have 'Zelena' soon, but I am away on an unexpected trip and did not manage to get to swatch it beforehand) Read on for more info! 'Regina' is a deep burgundy red linear holographic. This is quite purple toned too, which is just perfect for Regina! 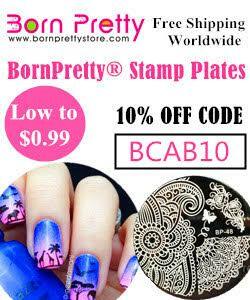 The formula is lovely and smooth, and very easy to apply. It is so so close to being a one coater. I did add a second to cover some very minor patches, but if you were careful you could easily get away with just the one. Below is two coats and topcoat. What do you think? I love it! 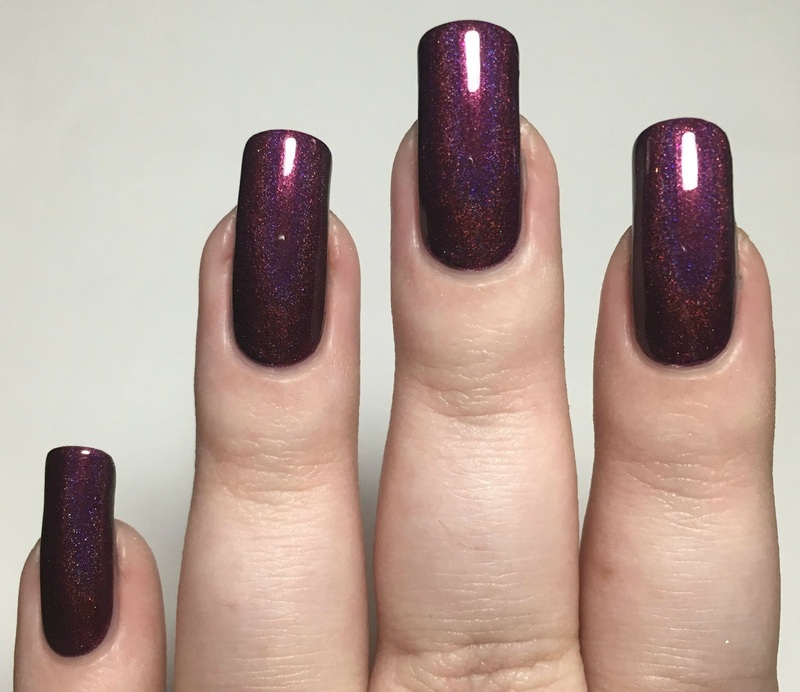 Again, it is such a perfect polish for Regina. I couldn't think what else you would do for her character. As mentioned, I promise I will be back with my swatches of 'Zelena' as soon as I can. I will not be back for a couple more days yet, but will try and get some guest posts scheduled in the meantime. 'Regina' and 'Zelena' are being restocked here one last time this Wednesday (1st March). Remember to keep your eyes peeled on the Danglefoot Nail Polish Instagram here for a restock time!